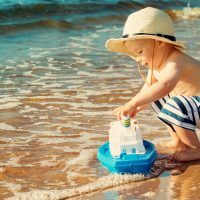 Choosing an all-inclusive vacation for your family is ideal because you don’t have to worry about meals and there are usually lots of things to do, all covered in one rate. But all-inclusive resorts can sometimes come with a high price tag. 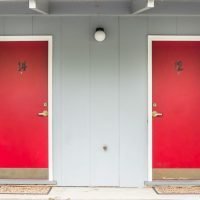 Fortunately, there are budget-friendly all-inclusive resorts that can offer families the same awesome amenities without the sticker shock. 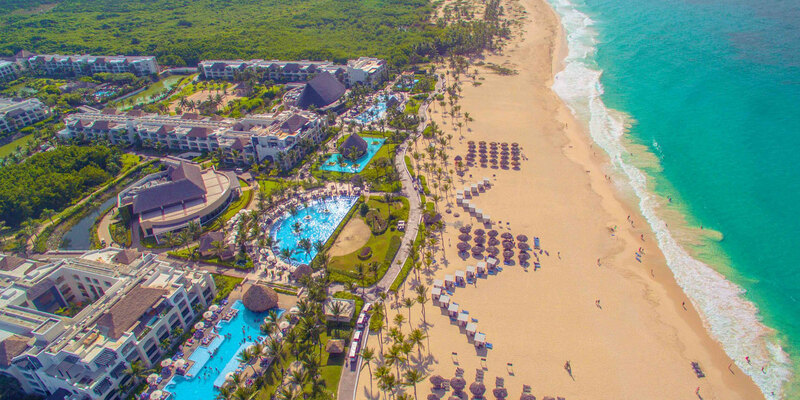 Here are eight cheap all-inclusive family resorts (and by cheap, we mean you won’t have to take out a second mortgage in order to go on vacation). This is a smaller all-inclusive resort located on the Pacific Ocean side of Mexico near Zihuatanejo. This budget-friendly, all-inclusive resort is also zero-hassle. Families are not required to wear wristbands and there is no need to make dinner reservations. Families can eat at any of the six restaurants whenever they are hungry. What a concept! There is a rock climbing wall, basketball and tennis courts and Euro bungee, plus a kids' club and a hangout area with foosball, karaoke and Xbox, just for teens. Sunscape Dorado Pacifico Ixtapa has also been named a Family Vacation Critic Favorite Hotel, so it's a budget-friendly, all-inclusive resort with our seal of approval! The Ocean Partial View guestroom may be the best option for a cheap all-inclusive stay here, but it won't matter if you can see the ocean from your room -- you'll be busy swimming in the ocean itself! Between paddleboarding, kayaking, swimming, sailing and snorkeling -- there is so much for families to do at Moon Palace Jamaica Grande. The whole family can enjoy the wave simulator, FlowRider; the younger kids will love the kids' club; and the teens will love being away from the adults at the teen club. This island all-inclusive resort offers great deals that will make any paying adult, well, jolly. Children under 2 years old are free to stay at Jolly Beach Resort, and children ages 3 to 11 are just $75 per night, making this a cheap all-inclusive family resort from the start. The all-inclusive package includes food and drinks, kids' club access, sailing, kayaking, windsurfing and snorkeling, and of course, the beautiful beach and two freshwater pools. There are four restaurants included in the package and one specialty restaurant, which requires an additional per person charge. Wi-Fi in the guestrooms, bottled water and spa treatments are also additional charges. Kids stay free all year long at the Hard Rock Hotel and Casino Punta Cana, making it an ideal budget-friendly all-inclusive resort for families. When you book a Signature Family Suite, two kids who are 12 years old or younger stay free in a room with an adult. Plus, families will receive resort credits that can be used for tours, spa treatments or rounds of golf. The two-bedroom Signature Family Suite features a flat-screen TV in each bedroom, an Xbox 360 with a selection of games and DVDs, free Wi-Fi, kids' bathrobes and slippers, and kids' beach toys. There is also a mini-bar filled with bottled water and kid and adult beverages (and a liquor dispenser). 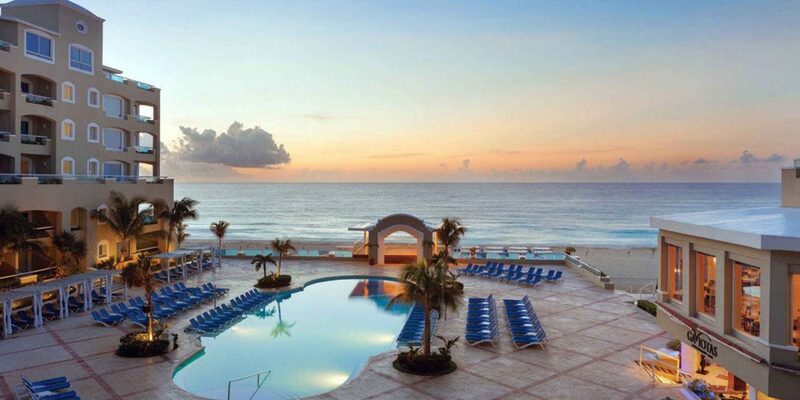 This reasonably priced all-inclusive is a win-win for everyone! The luxury is unlimited at Dreams Las Mareas, so only your wallet will know it's a cheap all-inclusive family resort. 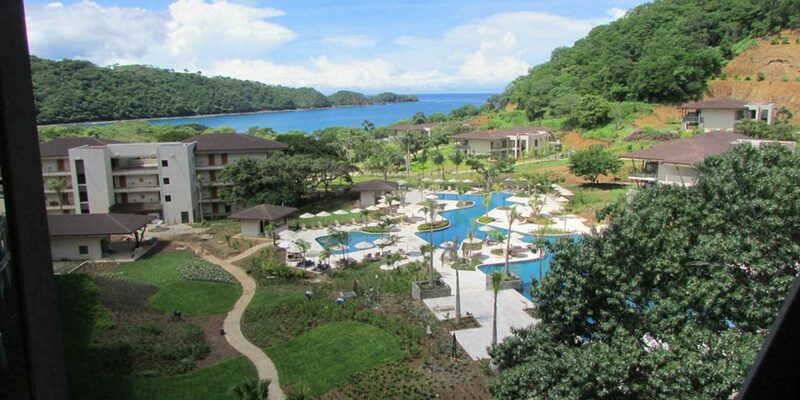 Food, drinks, pool and beach wait service, bottled water and free Wi-Fi are all included at this Costa Rica all-inclusive resort. Plus, no dinner reservations or wristbands are required here. There are two oceanfront pools, a waterslide, kids' club and teen center, Euro-bungee, snorkeling, kayaking and so much more at Dreams Las Mareas. The fun truly is unlimited at this inexpensive all-inclusive. 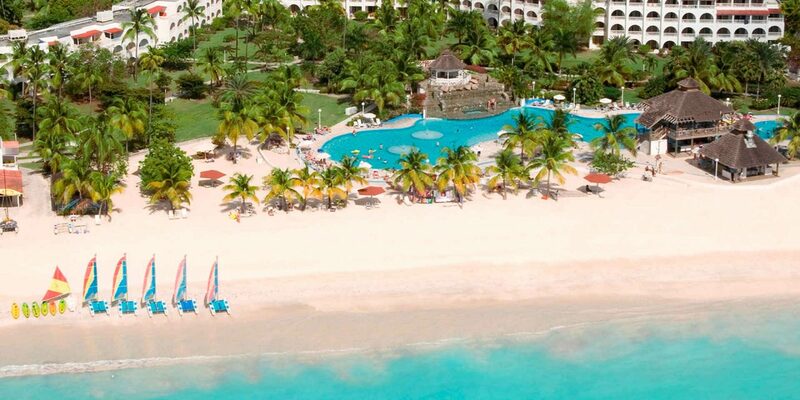 Families of five will love the Family Junior Suite at this cheap all-inclusive family resort. It features a king bed and set of bunk beds with the addition of a trundle bed all in the same room. Panama Jack Resorts Cancun allows you to stay budget-friendly (even with three kids) because you only need to book one room. The Family Junior Suite also offers direct access to the kids' club, which offers seven waterslides, two splash zones, a pirate splash park and a family pool. Mini-golf, movie nights on the beach, magic shows, cooking class and teen entertainment will keep the entire family happy during your Mexico family vacation. 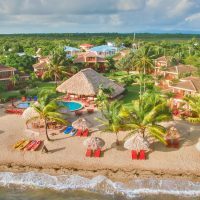 This beachfront all-inclusive resort is located along Jamaica's northern coast and shares facilities with neighboring Grand Palladium Lady Hamilton Resort & Spa, making it an inexpensive all-inclusive option. The kids' club is great for children ages 4 to 12, where they can play with arts and crafts and splash in the pool. There are five pools to enjoy, and the umbrellas and sun beds are available at no additional cost. Families will love to kayak, snorkel or play volleyball, basketball or tennis when staying at the Grand Palladium Jamaica Resort & Spa. This Caribbean all-inclusive resort offers a lagoon-style pool that runs the length of the property and a beautiful beach overlooking the Caribbean Sea. 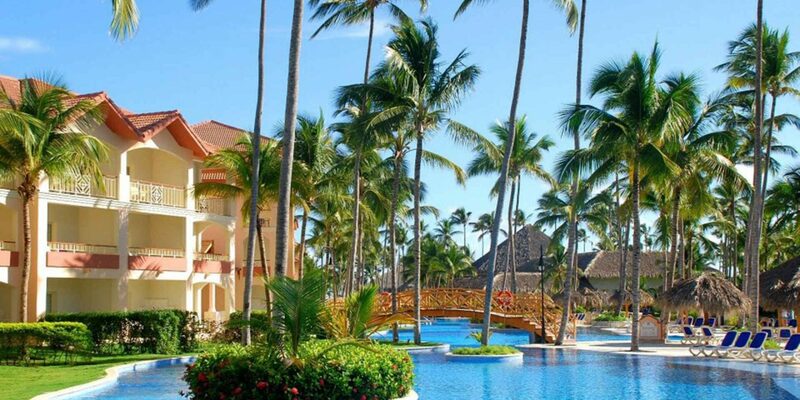 As one of three of the Majestic Resorts at Punta Cana, the Majestic Colonial Punta Cana is the lowest tier and most cost effective. Designed for families, there is a kids' club for children ages 4 to 14 years old, waterslides at the pool and a maze to run through. The kids will love the activities and the parents will enjoy the inexpensive cost.